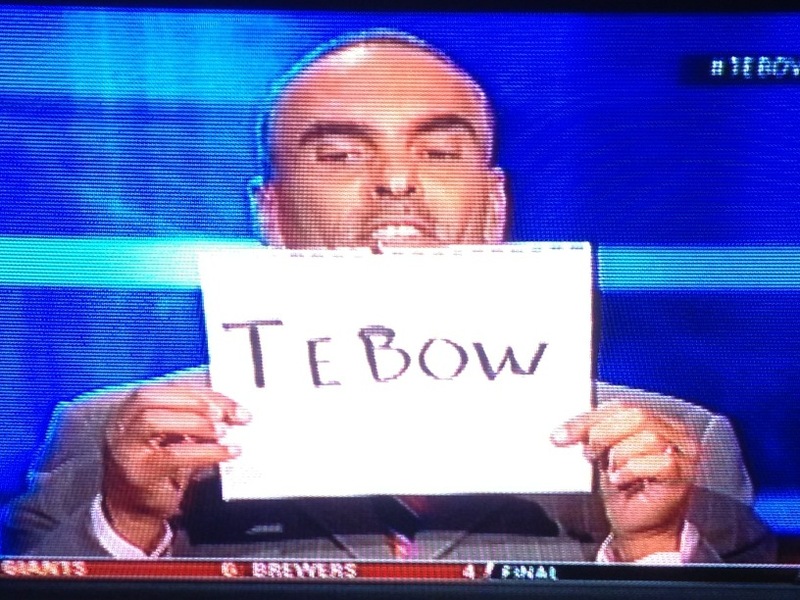 Today was the much ballyhooed #TebowFreeTV edition of First Take. The “Tebow free edition” came about because the talented DJ Steve Porter won a Webby for his “All He Does Is Win” video mashup featuring Skip Bayless. I wanted to take in this spectacle, if only to see First Take collapse on itself like an aging star by not mentioning Tim Tebow. Except this is First Take, so the “Tebow Free edition” was actually an excuse to talk about Tim Tebow more than ever before. 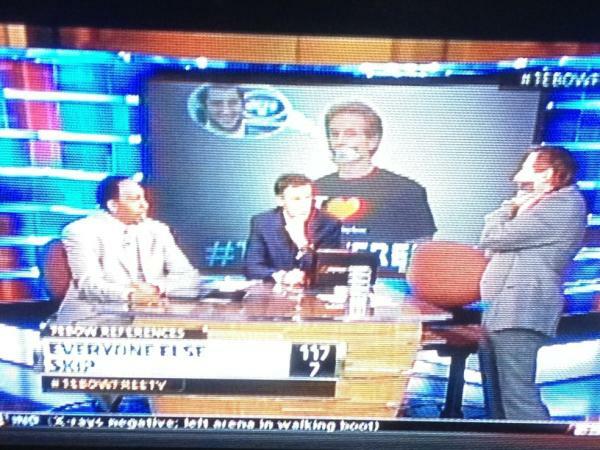 You see, only Skip Bayless couldn’t say Tim Tebow while it was fair game for others. Pretty much the entire show consisted of ESPN personalities coming on First Take to rip Tim Tebow while Skip Bayless offered shocked and dismayed and heartbroken facial expressions while remaining silent. Of course, Skip couldn’t make it the entire show without saying Tebow and walked over to the camera screaming Tebow’s name several times like a crazed lunatic at the end. No, that’s not some kind of sarcastic overexaggeration trying to be funny. That actually happened. The above count is almost accurate, except for the two times the DJ Steve Porter mashup was shown with Skip Bayless saying “Tebow” and Stephen A. Smith getting in one more mention after the final count. That means the “Tebow free edition of First Take gave us well over a half hour of Tebow time and over 125 mentions of Tebow’s name. Keep in mind that First Take mentioned Tim Tebow only 52 times in one episode during the middle of the NFL season and it has been 130 days since Tim Tebow played an NFL game. 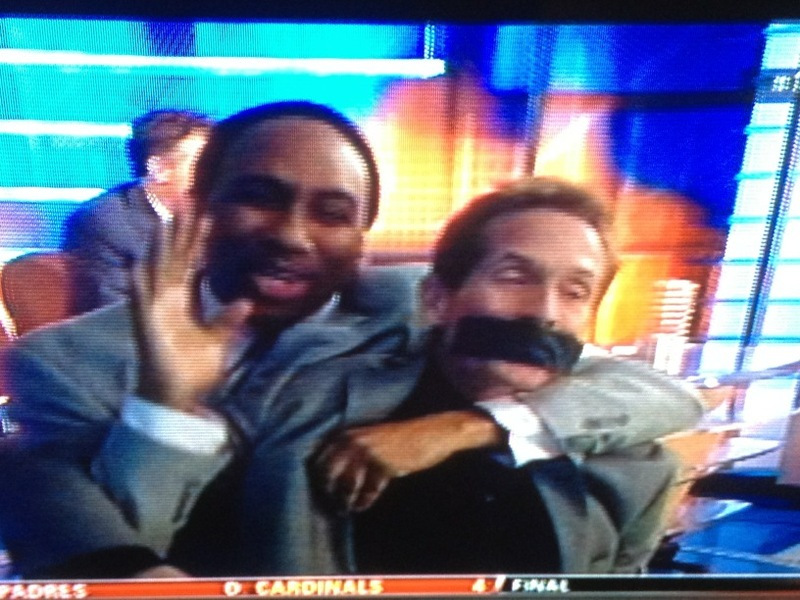 I’ve tried to put the abject horror of First Take into words before, but this particular show on Wednesday May 23rd, 2012 is beyond anything I’ve ever seen to this point in my years walking this sphere known as Planet Earth. In fact, I pysically and mentally can’t even put into context how terrifying these two hours were to witness. Maybe some day, the human race will have advanced to the point where they can find words and a language that appropriately describe this madness. We’ll surely all be dead by then, but in the age of flying cars and transportation devices and advanced telekinesis, maybe someone will finally be able to effectively communicate what was witnessed today. For the sake of our great-grandchildren and great-great-grandchildren, I hope it happens.